Have you ever truly felt angry about someone else’s behaviour? Don’t shoot the messenger but that’s your problem. YOU choose anger as a response. When I first heard about this concept I had a difficult time to understand it. Could this mean that outside circumstances can never make you upset except you allow yourself to be upset? In order to have a great life experience it is very important where we live emotionally. Answer and listen to yourself. This is such a cool way to increase your awareness and take action. 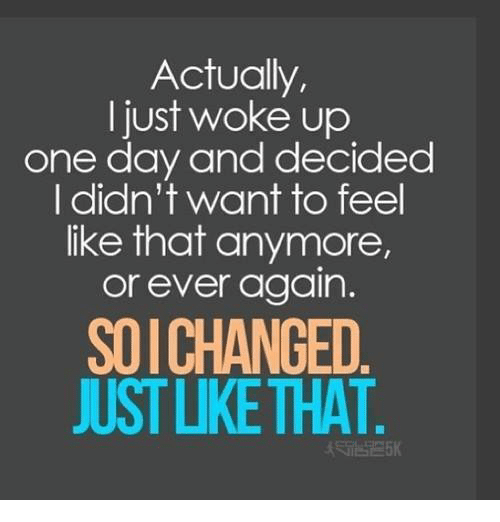 You can change how you feel, just like that.